Yesterday my wife shared Bible StoryBoards with a former nun, and she loved it. 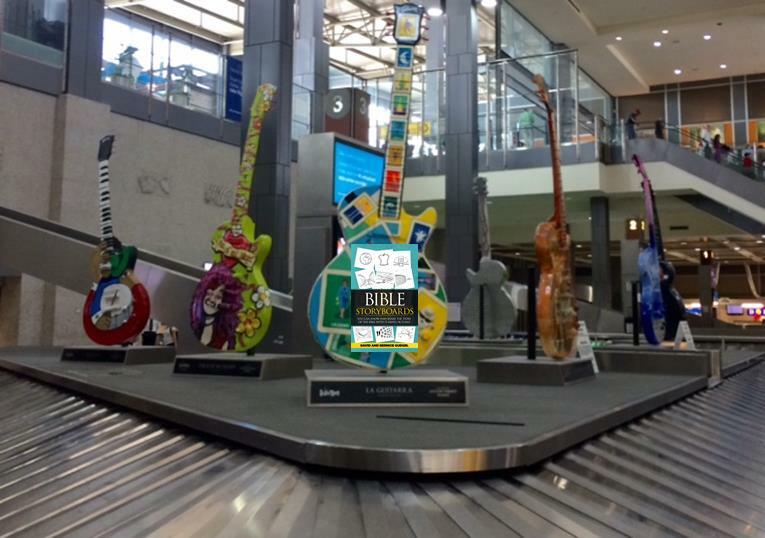 We were on a flight from San Jose to Austin, Texas. Before we even took off Bernice turned to the woman next to her (we’ll call her S) and said, “So are you on your way home or do you live here?” That one question led to a two-hour conversation and what looks to be a new friendship. About an hour into their conversation Bernice showed S “a project that our family had been working on.” Bernice used my phone to show her the simple black and white Bible StoryBoards that I had loaded in iBooks. Her response was immediate. She loved them. Bernice quickly talked her through the storyline – with S adding in things that she recognized about the pictures – and then Bernice opened our App and quickly showed her the color StoryBoards too. Simple – our 15 Black and White StoryBoard pictures aren’t complicated. There simple enough that anyone can draw them. And anyone can understand them and explain them too. Meaningful – every picture tells a part of the story of God’s unending love for people like us. The God of the universe wants a relationship with us, now and forever. That’s what the Gospel is all about. The Good News. 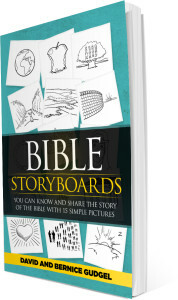 And this life-changing story is woven from the beginning to the end of the Bible, and is explained in our StoryBoards. Helpful – most people can’t talk through the story of the Bible. But Bible StoryBoards can change that. First for you. And then for others. That’s why every time we share Bible StoryBoards with someone, their first reaction usually includes the name of the person they hope to share Bible StoryBoards with – a family member, a friend, a neighbor. Bernice’s new friend from our flight to Austin said she was going to share Bible StoryBoards with someone who had a national ministry to college students. For me, this last reason is the greatest benefit of Bible StoryBoards. 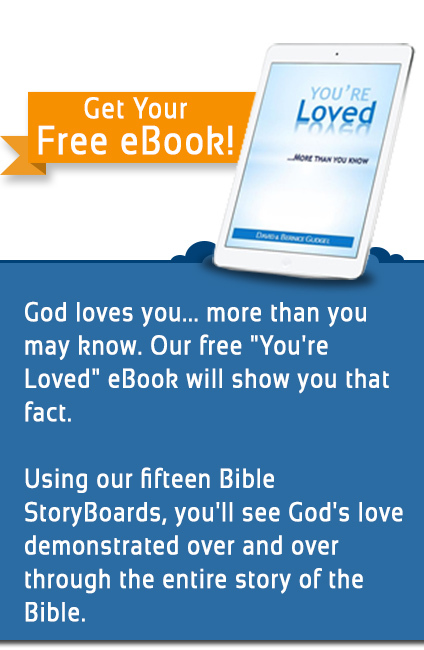 It can equip someone to simply show and tell the story of God’s love for us. A life-changing story that everyone needs to know. Once you understand the story that the Bible tells and have been changed by it, you can’t help but want to share it. And God has asked us to share it… even on airplanes with people you just met. You can check out our book or app through the picture links below.